Today Razer is announcing some refreshes to it’s system lineup as well, with both the Razer Blade and Razer Blade Stealth getting significant updates. The Razer Blade makes the obvious jump to Pascal graphics, but let’s dig into the Stealth updates first. 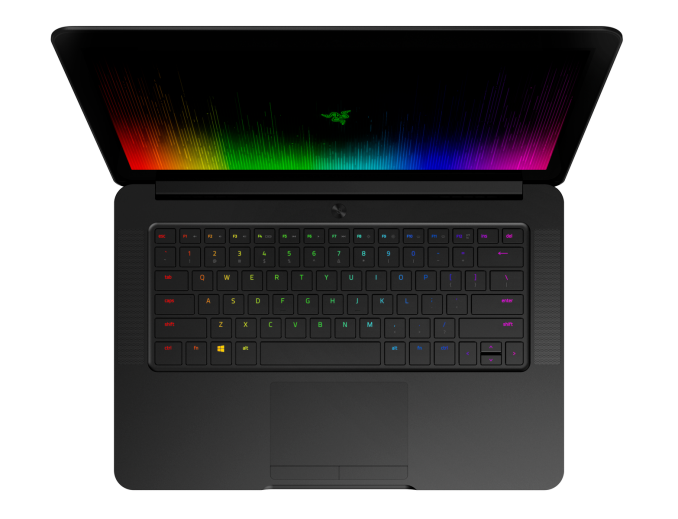 Earlier this year, Razer took their first jump into the Ultrabook ring with the Razer Blade Stealth. Announced at CES, this was an incredibly thin and light notebook which featured a Core i7 U series processor, an aluminum chassis, and optional UHD display. The really interesting part was that Razer priced it at just a $999 starting price, which isn’t inexpensive, but for a Core i7 Ultrabook, it was below similar models from other manufacturers. The Razer Blade Stealth is a pretty good Ultrabook too. It can be docked with the Razer Core over USB Type-C using Thunderbolt 3, allowing a full desktop GPU as well as a docking station and power, all over a single cable. The one major disappointment on the Stealth was the battery life, which was well below other Ultrabooks. With just a 45 Wh battery, it was under capacity on battery, and not as well optimized as competitors, so it was a double blow against it. Razer has taken this to heart, and have tried to address both concerns. First, they’ve increased the battery capacity from 45 Wh to 53.6 Wh, which is about a 19% increase in battery capacity. 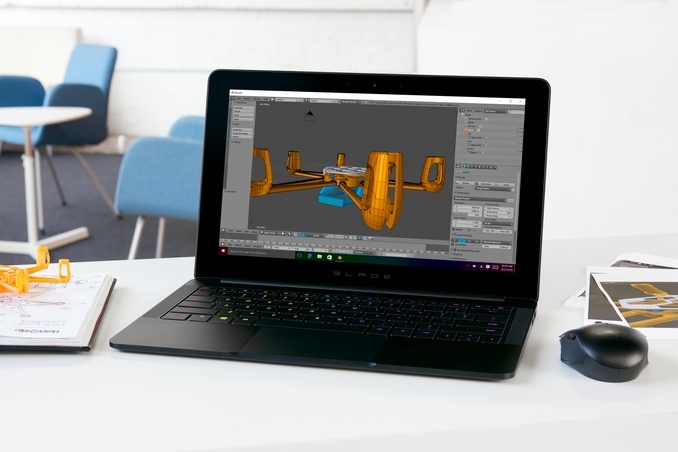 This alone should help a great deal, but Razer has said that they’ve also optimized the power of the laptop to get better battery life as well. This one isn’t as easy to give a number for without actually testing the device, but any work here would be welcome, since it was one of the least optimized Ultrabooks we’ve tested in a while. In addition, Razer is updating to the latest Kaby Lake processors, with the Core i7-7500U being the only CPU option. The storage starts at 128 GB for the QHD version, and 512 GB for the UHD model, with the UHD offering a 1 TB PCIe SSD now as well. System memory is also doubled to 16 GB of LPDDR3-1866, which is excellent to see, especially since the price has not changed. The rest of the product hasn’t changed, with the same dimensions and weight, even with the higher capacity battery. Check out our review of the first gen here. It keeps the same starting price of $999 and is available to order now. Next up is the Razer Blade, Razer’s flagship gaming notebook. It got a nice upgrade last year, with the same per-key RGB keyboard as the Stealth, but it is now available with the NVIDIA GTX 1060 graphics, compared to the outgoing model’s GTX 970M. This is the same number of CUDA cores and same 192-bit memory bus as the outgoing GTX 970M, but it now offers 6 GB of RAM at 8 Gbps, and a much higher core and boost clock compared to the GTX 970M and should be a significant performance upgrade. Razer is also bringing back the non-touch 1920x1080 model in addition to the 3200x1800 model, but this time with higher storage than the 128 GB it was originally stuck with. System memory is 16 GB for all models as well, with the Core i7-6700HQ as the only CPU. 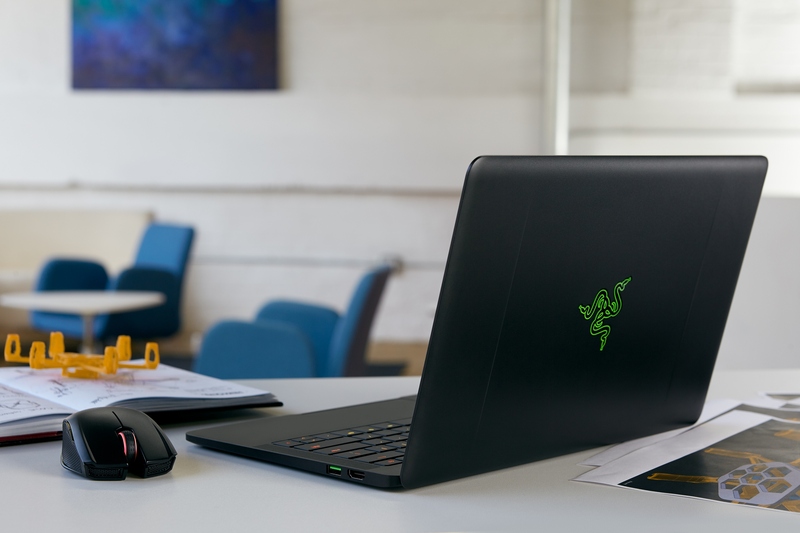 It is compatible with the Razer Core through USB Type-C.
Razer has kept the same basic design for the Blade for several generations now, but it’s a solid design that suits them well, and it’s still one of the nicest laptops around with a CNC aluminium chassis and excellent display. The latest Razer Blade starts at $1799, available for order now and shipping in October.